Play Jack in the Box™ online for free now! Do you love a good challenge and got a quick mind? Then Jack in the Box™ is the perfect game for you! 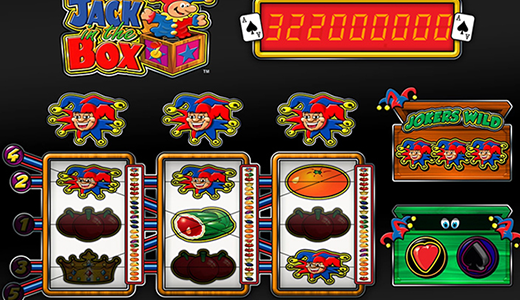 Get ready for a colourful and nostalgic slot experience on three reels with five win lines. Things will get particularly exciting if you land three or more Crown symbols on a win line! Keep your eyes peeled for three matching symbols on one of the win lines that run from left to right. The Joker is a Wild symbol that can complete your winning combos by substituting for other symbols. If three Crown symbols (Scatter) appear on a win line, they’ll trigger the Jack in the Box feature. This additional game is triggered by three Crown symbols on a win line. Three cards are chosen from a possible nine. Make sure you keep your eyes on the card with the highest value, for all three cards will be mixed. You must then find the card again to win big. Aces land you the biggest Twist wins of all. If you don’t manage to find it, you’ll still bag the Twist value shown next to the symbols. Multiply your Twists by up to 50 times in the feature and enjoy the wonderful attention to detail in this nostalgic slot that is guaranteed to keep you entertained. 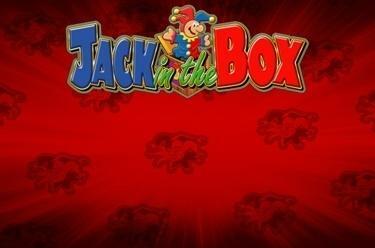 Jack in the Box™ is the perfect game for everyone who wants to have some simple fun without unnecessary extras!